After meeting rigorous and comprehensive standards of internationalization, the Jackson State University College of Business has been granted unconditional accreditation by the Network of International Business Schools (NIBS). 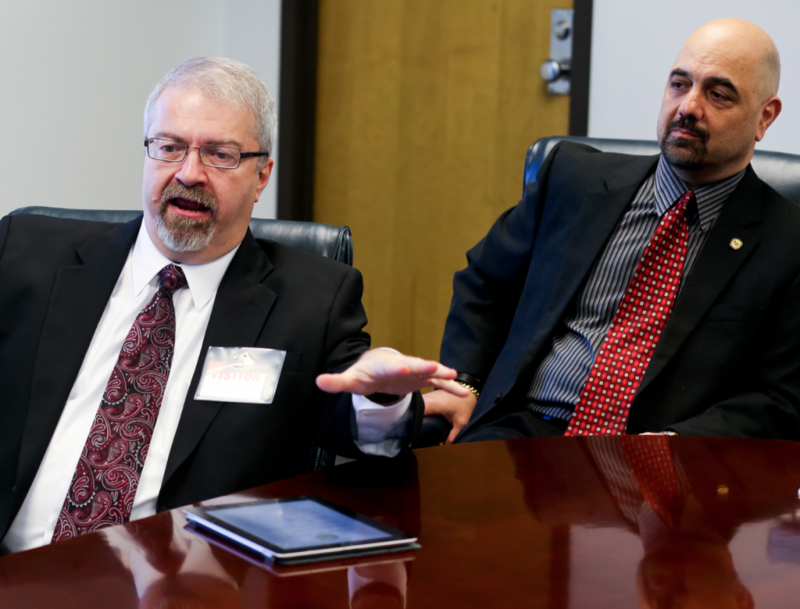 A panel of examiners visited the College in mid-November meeting with faculty and students from the College of Business, staff of JSU Global and top administrators. Based on their findings, the team submitted a strong positive accreditation recommendation to the Board of Directors of NIBS which approved the team’s recommendation and has granted accreditation on Dec. 3, 2015. “Jackson State University is pleased to salute Dean Maysami and the faculty, staff and students in the College of Business for meeting the rigorous and comprehensive standards from the Network of International Business Schools. This high honor supports the vision and mission of the university and the college for their global dimension and their focus on internationalization of their curriculum and activities”, said provost and senior vice president for academic and student affairs, Dr. Evelyn J. Leggette. NIBS accreditation focuses on the degree to which a business school has become international in all facets of its organization. NIBS members believe that higher education must integrate a strong international dimension, including the study of comparative international management techniques, the practice of foreign languages and the experience of working and studying abroad. They also believe that cooperation between educational institutions in different countries contributes to a better understanding between nations by furthering awareness and knowledge of other cultures and social practices. 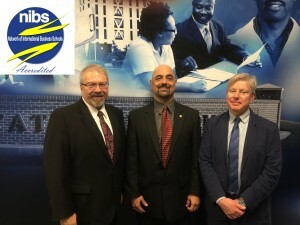 Members of the Network of International Business School panel of examiners meet with JSU College of Business dean, Dr. Ramin Maymasi (center) during a recent site visit. “I have been involved with international accreditation at more than 30 universities throughout the world. The common purpose, energy, motivation, commitment and determination of the administration, faculty and students in the College of Business at Jackson State University, match the best implementation of internationalization anywhere.” Dr. Charles congratulated Dr. Ramin Cooper Maysami, dean of the College of Business, for his global vision and his leadership in bringing various aspects of internationalization of curriculum and programs at the college to culmination. The college is among the 6 percent of business schools in the world that are accredited by the Association to Advance Collegiate Schools of Business (AACSB). For additional information on the College of Business, please contact Maysami at 601.979.2411.